Great fit, riding in minutes! This bike fits our nearly two year old perfectly! Unlike some other balance bikes we tried out that say they are for kids 18 months to 4 years, this one actually is short enough for our average sized daughter to sit on the seat and have her feet firmly on the ground. She took to the bike immediately, quickly learned to steer it herself and is able to use it independently. It is beautifully made and easy to put together. We are very happy with this bike. It should easily fit her again next summer when she is 3 as it has so much room for the seat to "grow". Initially we were planning to get a wooden balance bike. We decided to go with the B-Bip to get a longer life out of the bike for our tall almost 3 year old. She loves it. The light weight of this bike is an unexpected bonus. She enjoys riding the bike but she takes even more delight from being able to pick it up, make it fall and generally be in control of it. She got it right away! My two year old toddler just hopped on and got it right away! She loves it! Incredibly fast shipping, easy to assemble, great quality and super light! Highly recommend! 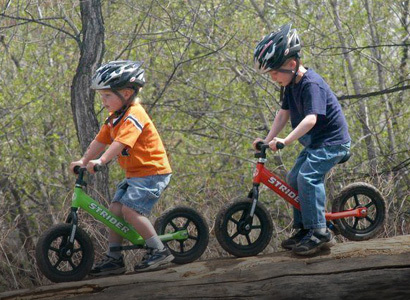 Balance Bikes Canada is a Canadian online store to buy, compare, and review kids balance bikes. 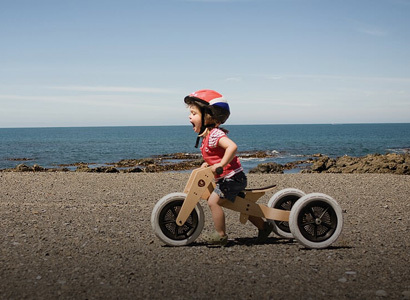 We sell only the best wood and metal balance bikes for toddlers and kids at low Canadian prices. Brands we carry include Strider, FirstBIKE, Kazam, KinderBike, Glide Bikes, LIKEaBIKE, Mamma Cangura, Prince Lionheart, Runners, and Wishbone. 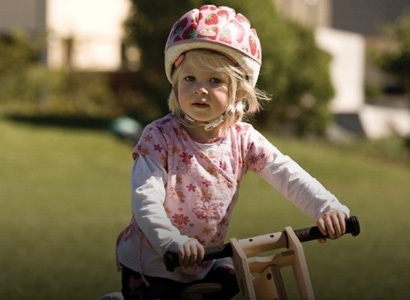 Each running bike has distinct benefits to learn how to ride and would be a great choice for a first bike for children. 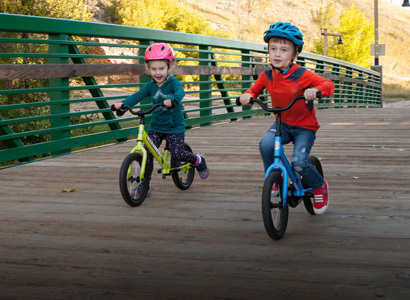 A balance bike, also known as a running bike or gliding bike, is a children's bicycle with no pedals that can teach your child how to ride a bike without tears, scraped knees and fear. 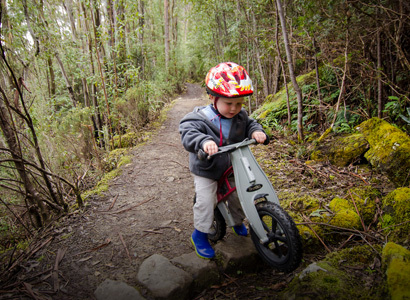 Children as young as 18 months old can benefit and enjoy the freedom of bike riding that a balance bike can offer. 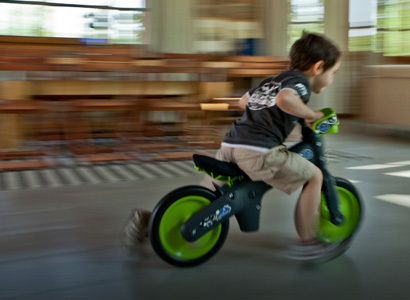 With a balance bike, you can say goodbye to training wheels and teach your child to ride a bike sooner and safer! We are a family-owned business based in Toronto GTA. We offer fast shipping anywhere in Canada as well as local pick-up and demos.